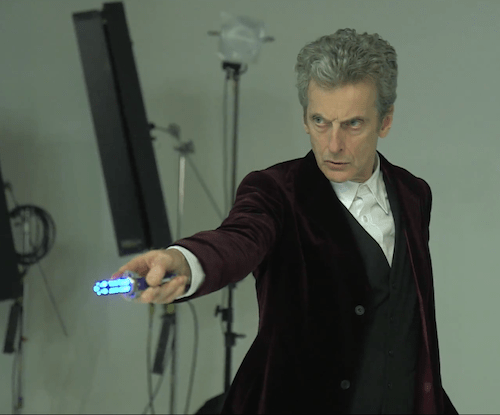 The BBC has released a video of Peter Capaldi having a look at the new Sonic Screwdriver as introduced in last night’s series finale, Hell Bent – watch it in the player below. The Sonic is set to make its proper debut in the next episode, the Doctor Who Christmas Special, The Husbands of River Song. A look at the new toy your kid is going to be asking for for Christmas.